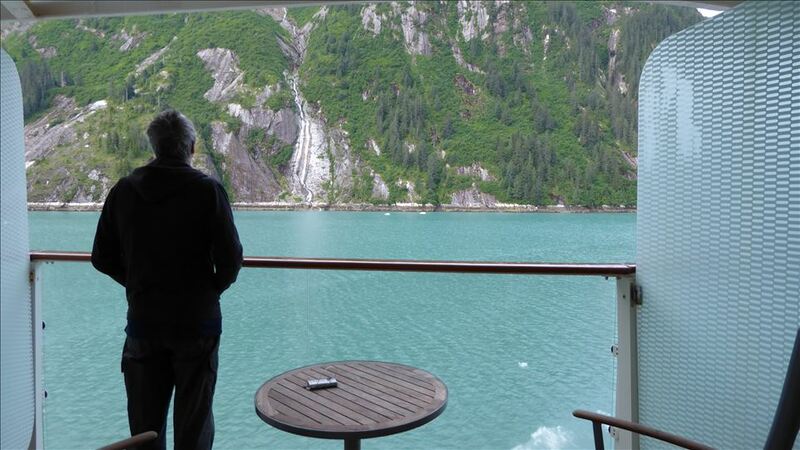 and he would point out where the wildlife was. 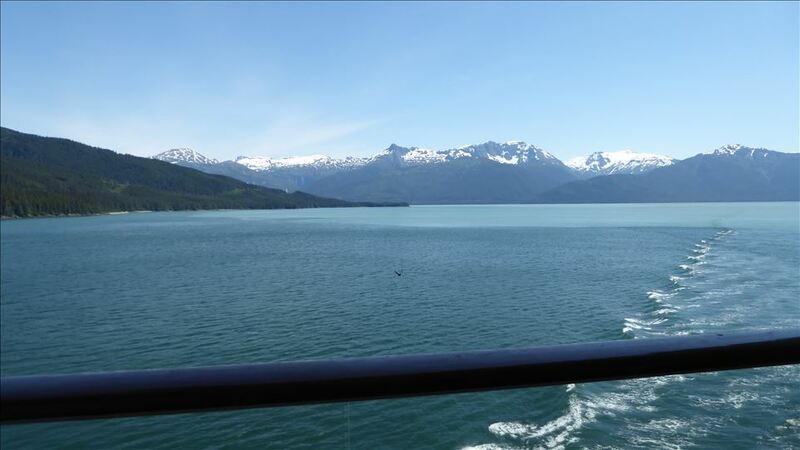 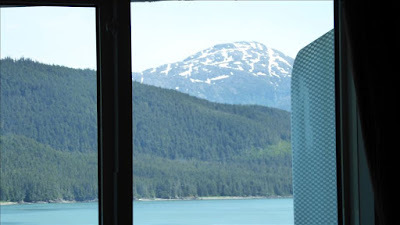 Bears were on the other side of the ship, ad so were the humpbacks, but we did get to see eagles. As you can see from the live web-cam, sunrise was at 3.54am and sunset was 10.05 - very long days. 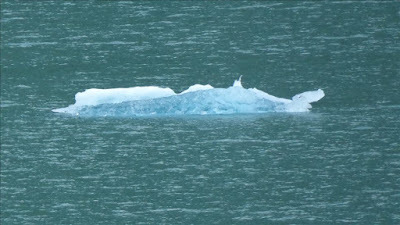 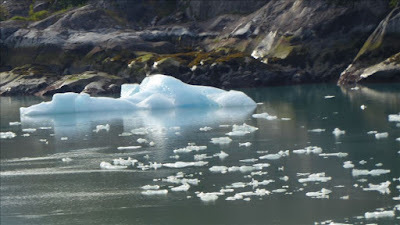 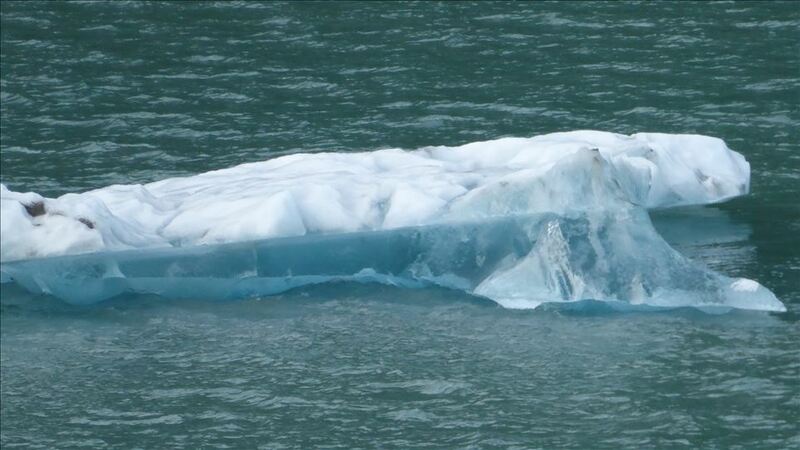 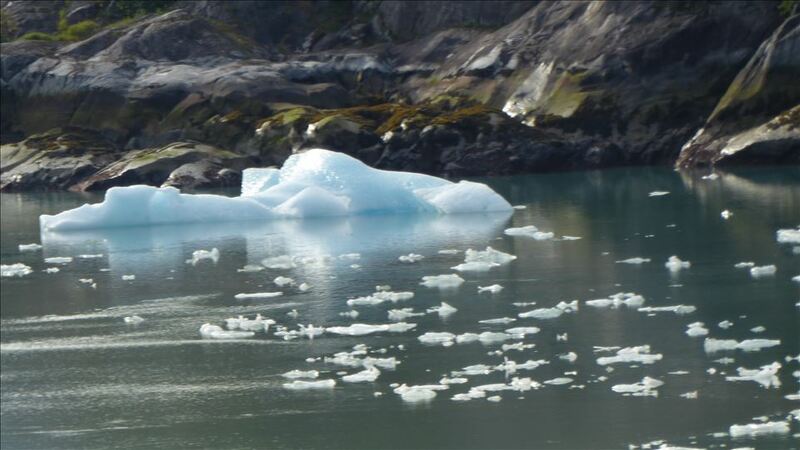 One of the ships excursions was to the Sawyer Glacier. 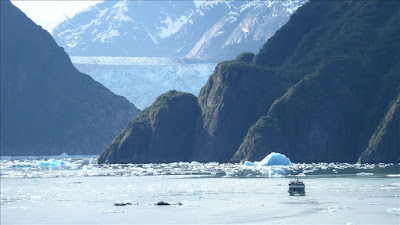 We didn't do it, but wish we had, as this was as close as we got to the glacier. 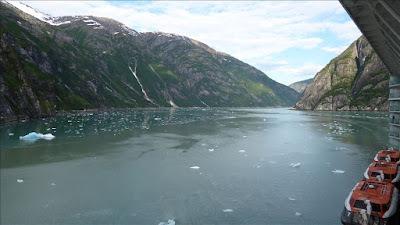 The ship then turned around and headed back up the fiord. 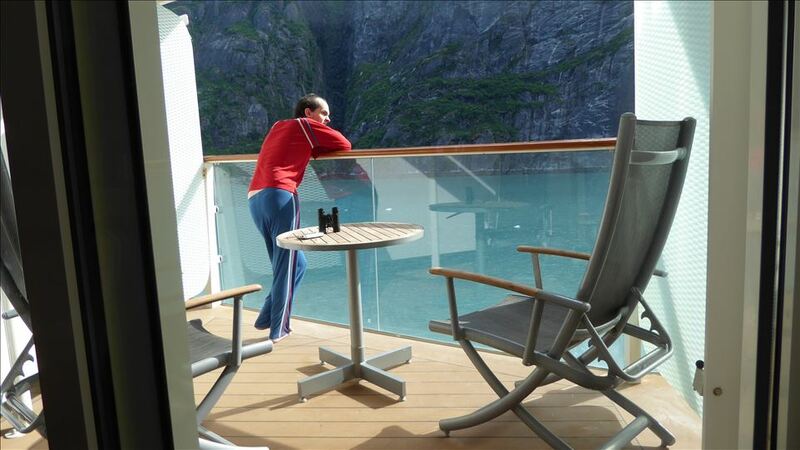 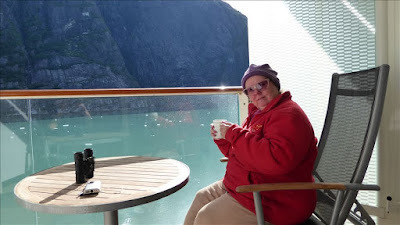 Jonnie watched some of the journey down the fiord - mainly because we kept annoying him to get up and have a look. 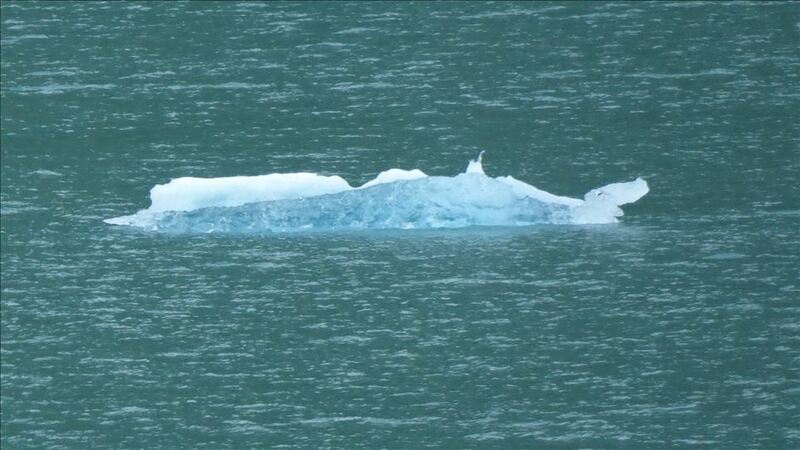 He finally got up on the return voyage, and couldn't stop looking at all the icebergs. 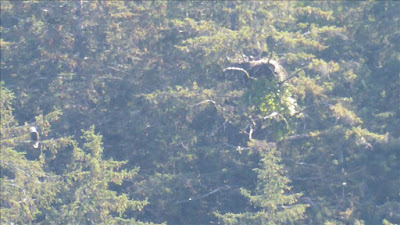 Hard to see I know, but here is an eagle's nest with 'mum' not far away. 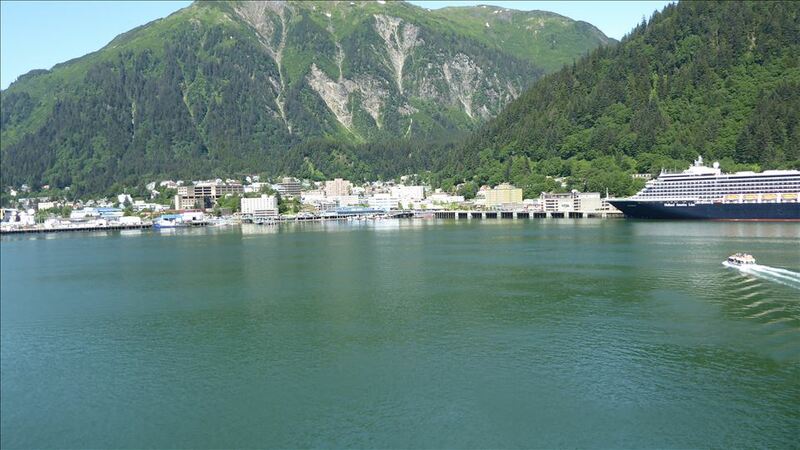 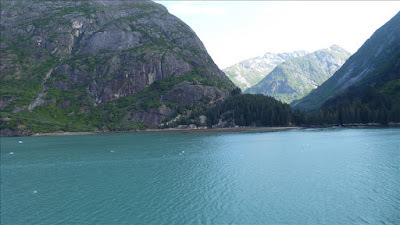 Just out of the fiord and on the way to Juneau. 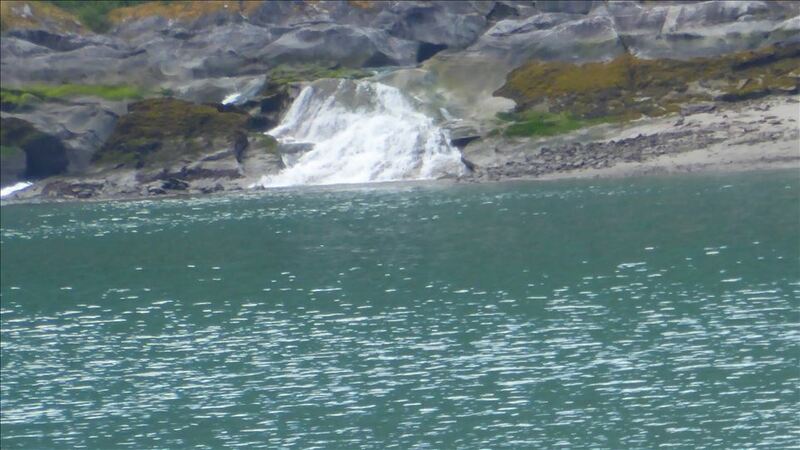 We took so many photos in the fiord, all beautiful scenery. 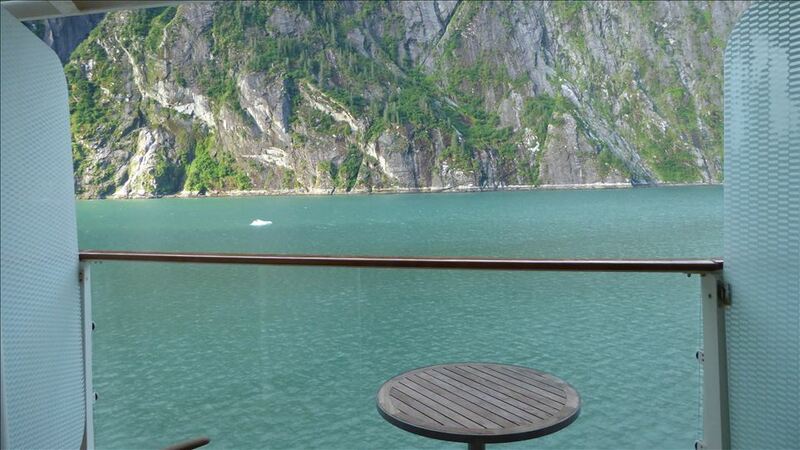 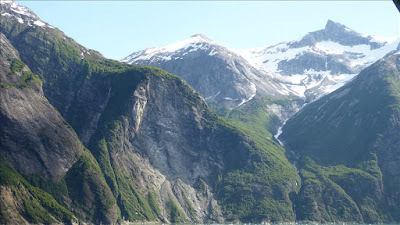 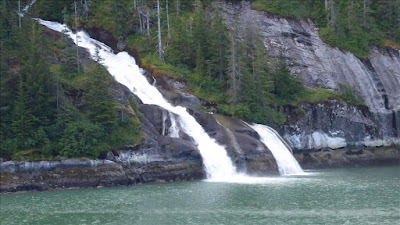 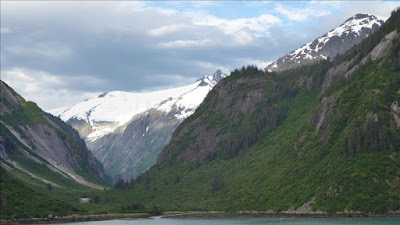 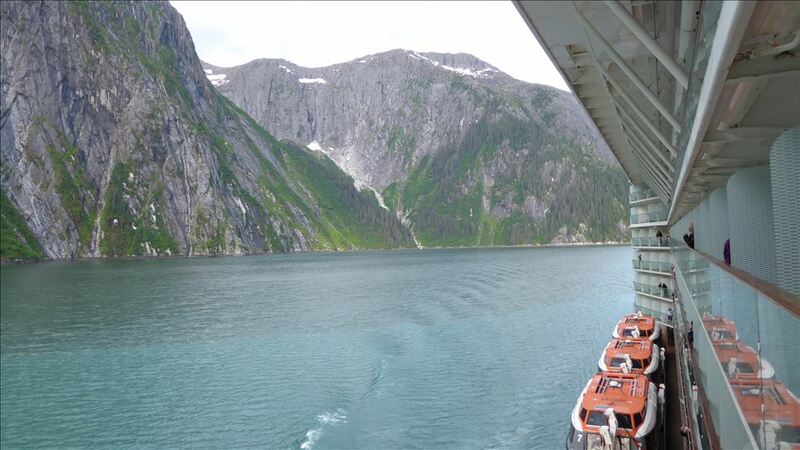 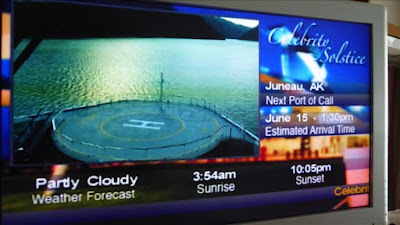 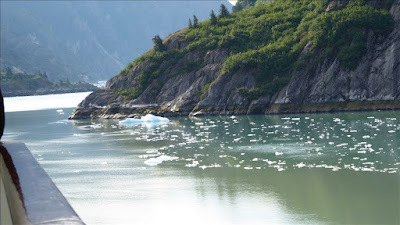 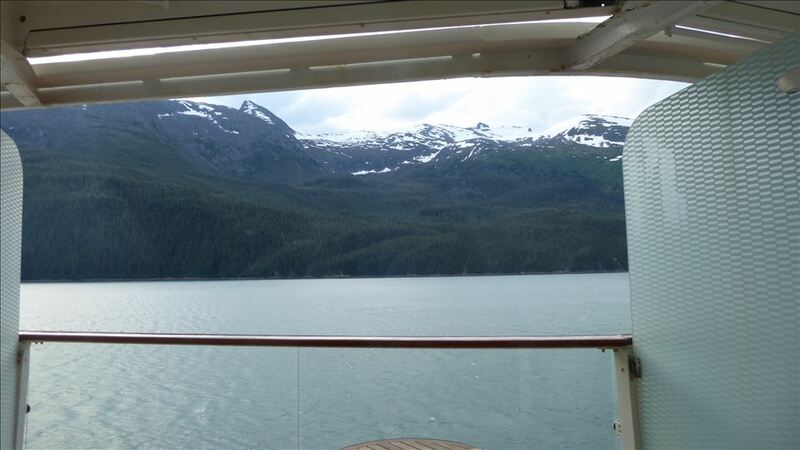 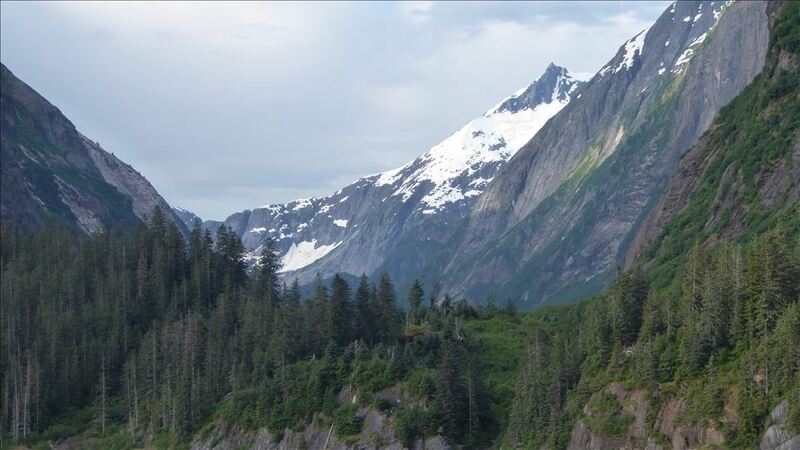 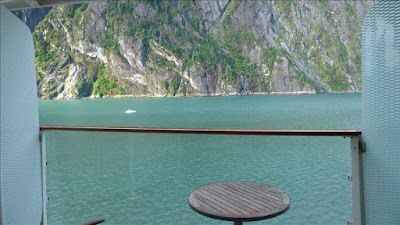 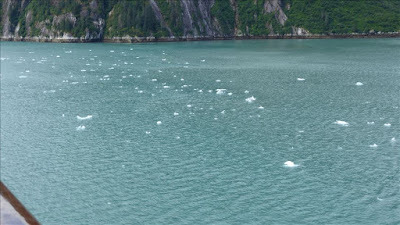 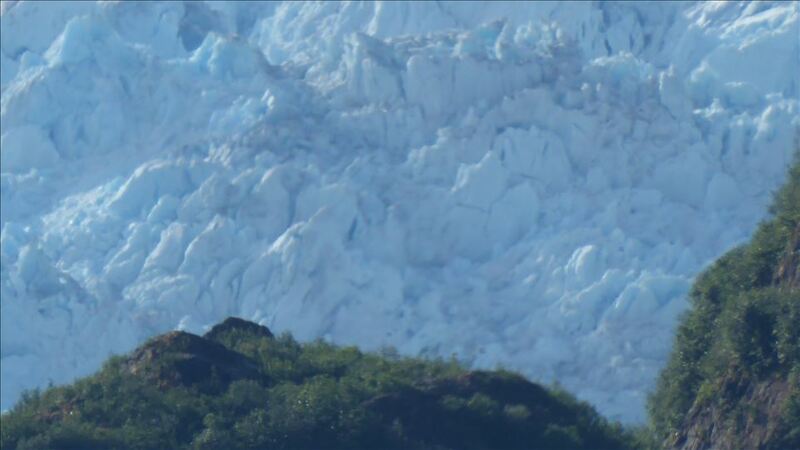 Yes, I would say do Tracy Arm if you can, but take the extra excursion to get up close and personal.